This is a book ANC-ologists will pore over (or maybe pour things over), dissect, discover what’s new, what’s already out in the open but newly contextualised, by a tireless student of the liberation movement and South Africa’s Communist party. Twenty years ago Stephen Ellis’s book, Comrades Against Apartheid, the ANC and the South African Communist Party in Exile, engendered angst and accusations of treachery. He now accepts that, given the limited state of knowledge at the time, he got a few things wrong. In the interim, an avalanche of material has been made available, notably from the archives of Stasi, the egregious East German security apparatus. It’s a double-barrelled argument; that the communists exercised undue sway over the liberation movement; and that the ANC’s army, Umkhonto we-Sizwe (MK), never actually got stuck into liberating South Africa, as Frelimo and ZANU/ZAPU had done so effectively in Mozambique and colonial Rhodesia. The first stage of the war, which was restricted to sabotage, began in December 1961 and died away with the arrests of ANC leaders at Rivonia. After which, as Joe Slovo, MK’s military chief, once said, “˜from 1963 to 1978 no shot was fired in anger in South Africa’. The ANC conference in Morogoro, Tanzania (1969) opened its membership to all the races, African, white, Coloured, Asian. It didn’t matter that the executive remained exclusively black because the important military and political decisions about the war were made by the non-racial Revolutionary Council, so that the vanguard CP got its hands on the real lever of power and was able to guide the ANC in the struggle without formally dominating it. In effect, the ANC had no choice but to depend on the East Bloc for the wherewithal to fight the war. The West would not recognise its just struggle, choosing to throw in its lot with all manner of upstart groupings simply because they were anti-communist. The US conveniently forgot that George Washington had been pleased to accept crucial French help in liberating the old colony from the British. A few countries, among them Sweden, did make huge financial contributions to the ANC, but not weapons. Without guns, you were toothless against the South African defence force. In 1978, an ANC delegation journeyed to Vietnam to study the secrets of its people’s war against the US. They met the legendary General Nguyen Giap. Joe Slovo, MK’s commander-in-chief, was impressed. On their return, a new programme, “˜Four Pillars of the Revolution’ was hammered out – armed struggle, establishment of underground structures, popular mobilisation and international isolation of South Africa. Let’s work backwards. “˜International isolation’ was gradually achieved by the worldwide anti-apartheid movement, the sports boycott, Chase Manhattan Bank’s refusal to roll over the country’s loans, the fall of the Berlin Wall, independence in Namibia; all played their part. Ellis points out the influential communists in the A-AM London office; Mike Terry, Alan Brooks and Vella Pillay might have been of the left but their strength lay, first and foremost, in their indefatigable organisation. The British public would not have been confused by communist rhetoric. It was a swathe of political affiliates, from far left to slightly centre right, coming together in the “˜popular mobilisation’ of the United Democratic Front that brought apartheid to its knees. The UDF was seen as the ANC-in-waiting, with the liberation movement’s profile boosted by the leadership presence of Albertina Sisulu, wife of the gaoled Walter. By 1989, no “˜command and control’ structure had been established within the country, though there were a growing number of bomb attacks on strategic installations such as power stations. Then Mac Maharaj, consummate strategist and operator on the ground, crossed the border to set up Operation Vula, a secure channel for communications between internal operatives and headquarters in Lusaka. Weapons were cached in the countryside awaiting the moment. But, too late; Mandela was released and the talking began. With the Soweto uprising (1976) hundreds, perhaps thousands, of idealistic young men and women fled across the border to enlist in the struggle. Their creed was Black Consciousness, and they were unschooled in ANC history and Marxist thinking. The East German communist party was called in to the Angolan camps to provide an intensified training programme. After which, they stewed in their own juice, when their only interest was to go home and liberate their country. Small wonder the warriors were rebellious. There were reports of shoot-outs, arson attacks, allegations of mass poisoning; or as viewed by the camp commanders, “˜hostile elements’ were “˜causing unrest’ and “˜spreading rumours’, were even working for BOSS in Pretoria. The perpetrators, real or imagined, were imprisoned, tortured, executed. The purges were carried out by men trained í la Stasi. In Zambia, senior ANC and communist officials complained of corruption by cadres who had forgotten the reason for their exile. They were running a lucrative racket smuggling cars from South Africa, and in return “˜exporting’ mandrax back to the Republic, where it was banned. 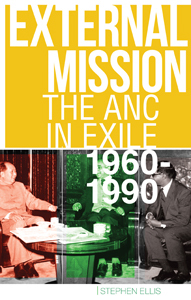 At the conclusion of this densely-researched roller-coaster of a book, Ellis writes that the ANC’s “˜sanitised’ version of its immediate past, propagated by means of official documents, speeches, monuments and commemorations, is that the liberation movement initiated an armed struggle that, after much sacrifice, was the main factor forcing the apartheid government to negotiate in circumstances that handed effective victory to the majority of the population. As the judge says to the jurors – it’s over to you to decide. 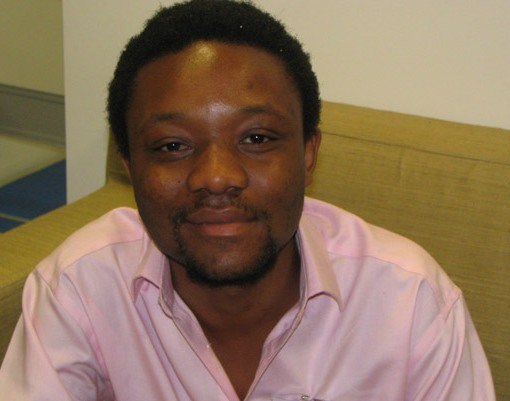 Ellis is Desmond Tutu professor of youth, sport and reconciliation at the Free University, Amsterdam. Denis Herbstein is a South Africa-born journalist and author of several books on the liberation struggle.